Holland College will offer its newly constructed residence for monthly rentals during June, July and August of this year. The 31-unit residence, located on the corner of Cumberland and Grafton streets, offers fully furnished two- and three-bedroom apartments complete with full kitchenettes, card access control, Wi-Fi, TVs, parking, and no utility charges for renters. The four-level building features an elevator, coin operated laundry facilities on each floor, and comfortable common rooms with game tables, and large screen TVs. 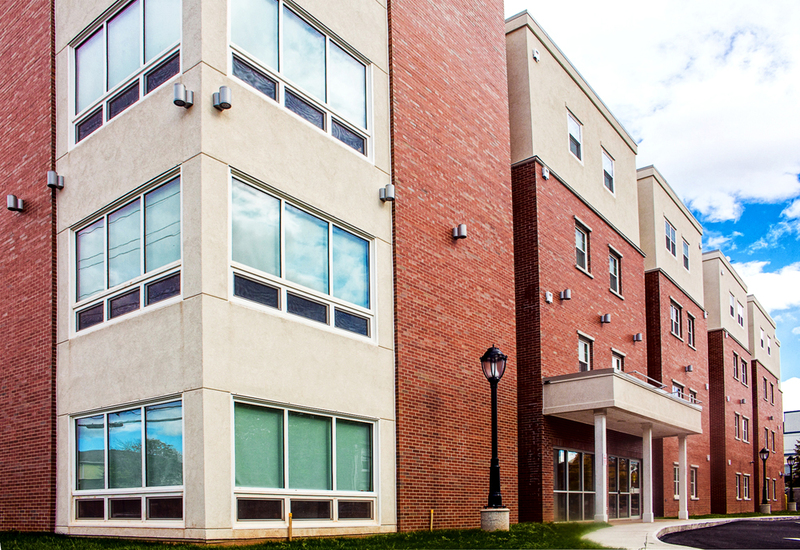 The proximity and affordability of the new college residence makes it an appealing option for guests requiring longer term accommodation in the Charlottetown area. The new building’s monthly rental option is a welcome addition in the city, given the shortage of affordable month to month rental accommodations in downtown Charlottetown. Ancillary Services Manager Brodie Coffin is looking forward to introducing the new apartment style units to prospective guests. “Finding a modern, affordable, and functional place stay in the downtown area is becoming more problematic especially in the summer months here in PEI. Our new residence is absolutely stunning and provides an economic alternative for people needing to either re-locate for the summer months or who are planning an extended vacation. The units come fully equipped to accommodate your needs and are sure to rent quickly” he says. In addition to the units available for monthly rentals in Holland College’s new residence, units in Glendenning Hall, located just across the street, will be available again this year for shorter stays. To inquire about rental options in either building, please contact Tracey Campbell by email at tcampbell@hollandcollege.com or by phone at 902-367-7701.